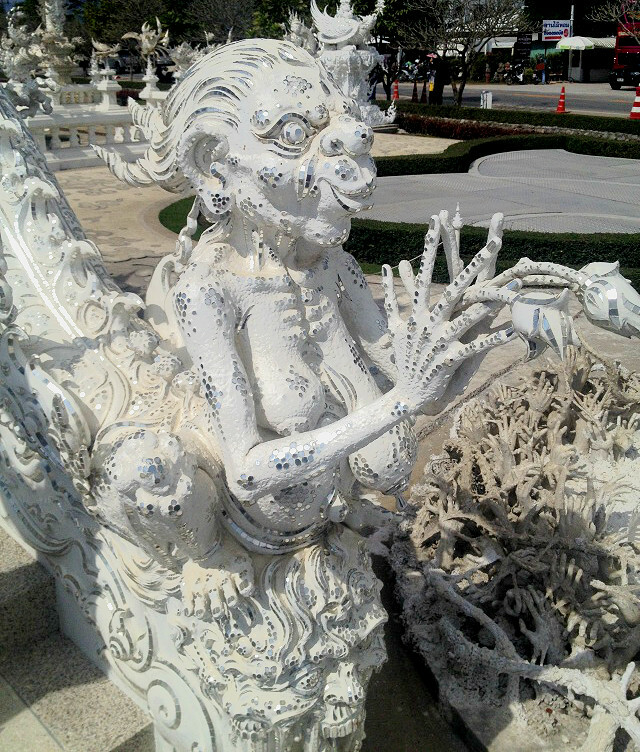 Unique in character, Chiang Rai, Thailand is definitely most popular among tourists for its White Temple-Wat Rong Khun and that was also my source of motivation to travel to this beautiful city. 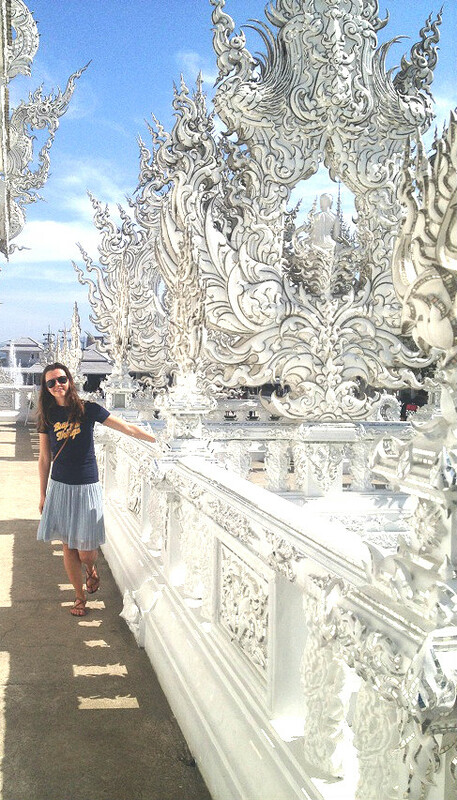 Visiting the White temple was my dream since I moved to Thailand. And finally, after 3 months living in Chiang Mai, the city not far from Chiang Rai, I bought a bus ticket and went to see it! However, upon my arrival, I realized the city is not just picturesque but exquisite with its stretched fields, where you can see farmers harvesting or planting rice, tiny houses, empty roads, tourists in motorbikes and smiling faces. For a city dweller like me, it was soothing to my urban nerves. 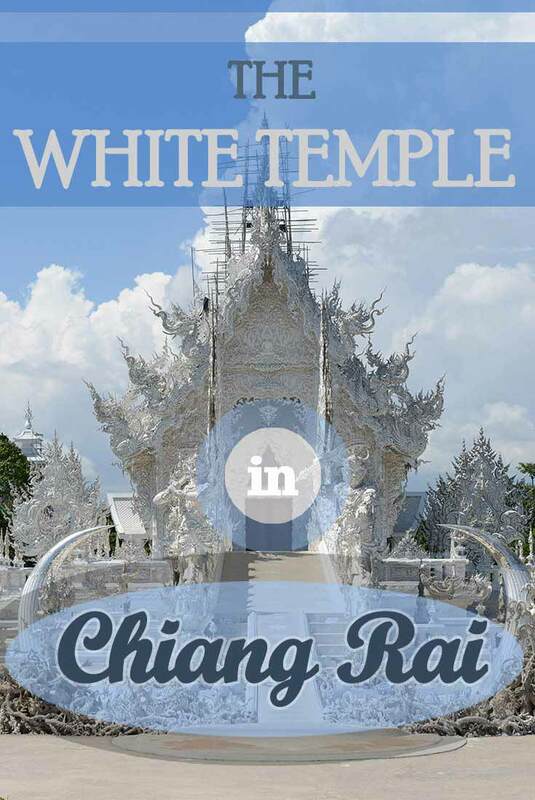 And here is my insights on the famous Chiang Rai’s White Temple. 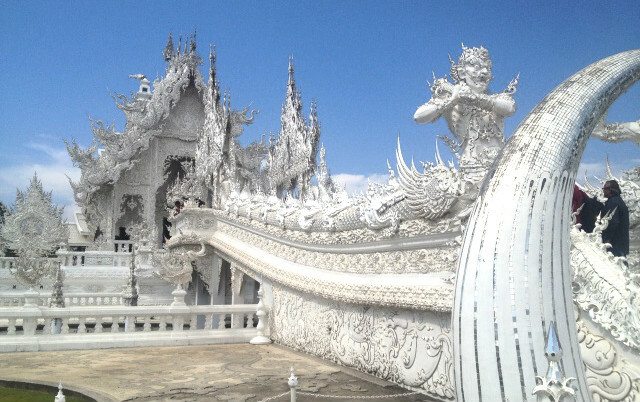 A visit to Chiang Rai is incomplete without experiencing the grandeur and beauty the temple. The contemporary, privately owned, unconventional artexhibit structured as a Buddhist temple is sure to touch a few chords no matter what religion you follow. If you ask what to expect from this outstanding creation of a man, let your imagination run free. Don’t forget the temple is born out of the devotion and passion of Artist Chalermchai Kositpipat – known primarily for his religion-themed paintings. 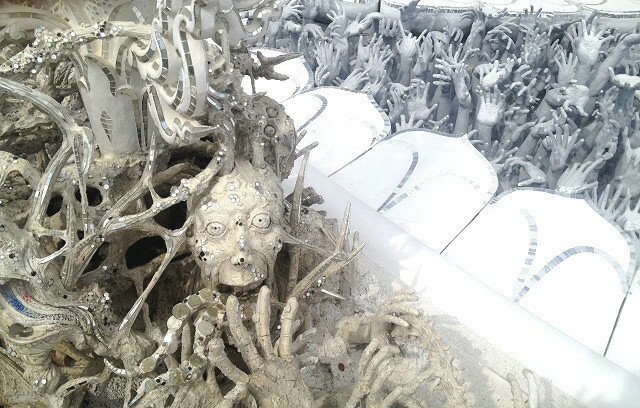 As the very name suggests, Wat Rong Khun(White temple) an architecture in pristine white to represent the purity of Budhha, but the impact of the gleaming whiteness of the world famous temple is such that it will be jaw-dropping moment for the first time onlookers. Witness a Superman flying through the walls and don’t get scared if a huge demon hangs above you with a sword. Emergence of the predator from the ground is interesting and many hands reaching up as you traverse through the lifecycle of life, death and rebirth is an experience, more than just a sight. Take a close look at the shrunken heads hung across from the trees in temple gardens and after all this look at the serene smile of Budhha for an eternal bliss. RELATED READ: Going to Bangkok as well? In this article you can find out about the 5 best areas to stay in the city (with hotels and prices)! The monks at the temple can spare a word or two if you are keen to interact and when you wish to experience the worldly things at the temple premise, head to the restrooms, painted in Gold. 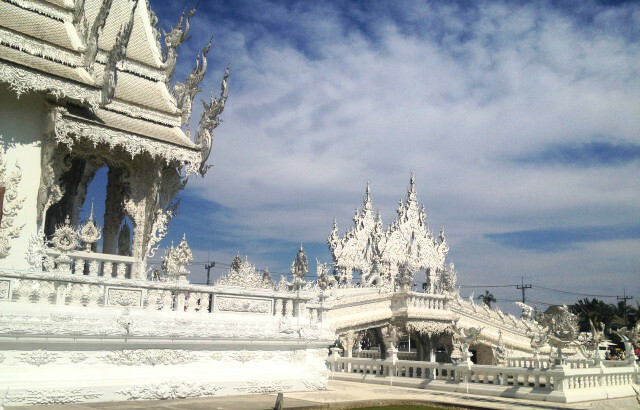 And as you will be returning after this most unique and amazing experience, the White Temple that is symbolic to the teachings of Buddhism, and achieving the state of Nirvana will be etched in your memories forever. There is an Mae Fah Luang-Chiang Rai International Airport, if can fly there pretty easy and not expensive from Bangok for sure. As the temple is a bit far away from the city, I do recommend renting a motorbike. To take your experience a few notches above in Chiang rai, ride a motorbike to commute locally. The cost is about 200 baht a day, they didn’t require driving licence. 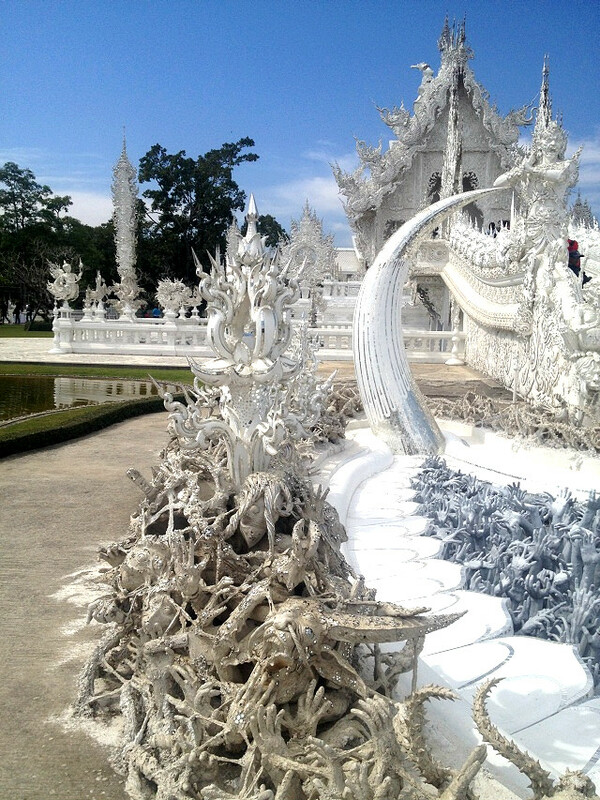 There is not much to see in Chiang Rai except the temple and couple of other things, a day trip would be totally fine. But, because it is located a bit far from everything, you should definitely stay for at least a night. Luxury hotels – Le Meridien Chiang Rai Resort is really affordable and the standards of the service is the same as everywhere else in the chain, I really recommend staying there! Medium range – An unforgettable luxury experience in Le Patta Hotel Chiang Rai can cost you less than 100$ if you book in advance! Budget stay – Maryo Resort – outdoor pool, free shuttle service and many other perks for a great price! Mercy Hostel – this 2* star hotel has fabulous reviews and is located in the city center! If you are exploring more of the North of Thailand, you might be interested to read about Pai – a tranquil getaway from chaotic Bangkok . 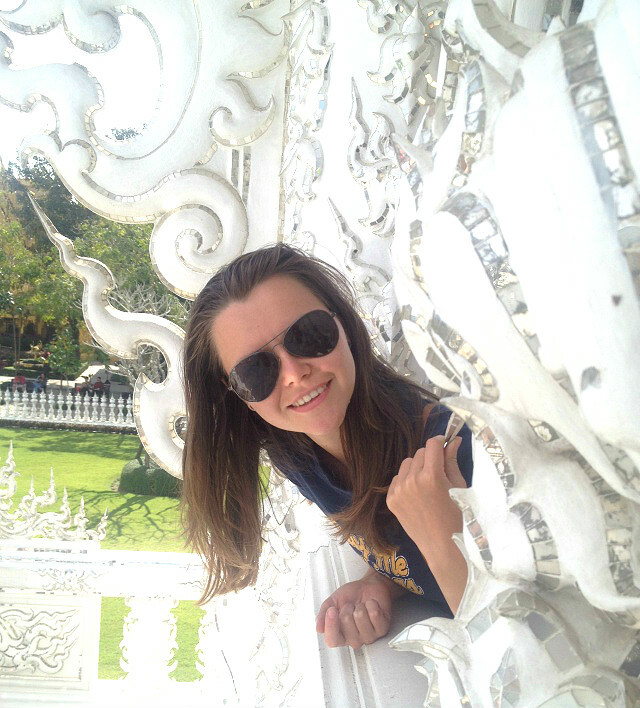 Chiang Mai, my favorite city in Thailand (and the city where I lived for a while) has so much to offer too! And I have some amazing pictures and valuable tips from paradise Thailand islands! Liked the article? Support me! Don’t forget to press “Like” on any social network! Have comments? Write them below, I LOVE to hear from my readers! Absolutely stunning! If I ever get to Thailand I must visit it! Amazing place! Hi Yulia! 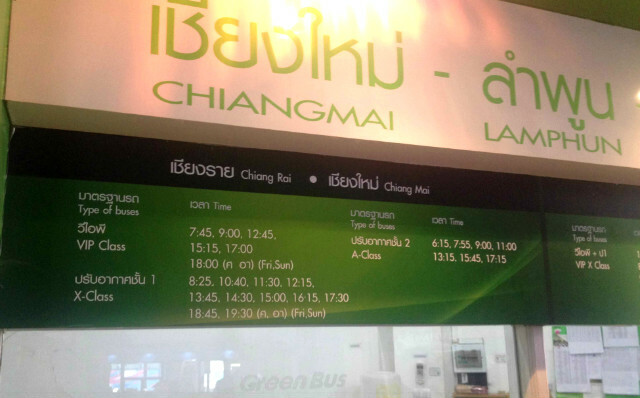 Due to the insufficient time, we do not plan to go to Chiang Mai. Do you think I will regret not going to the White Temple? Hi Liz! 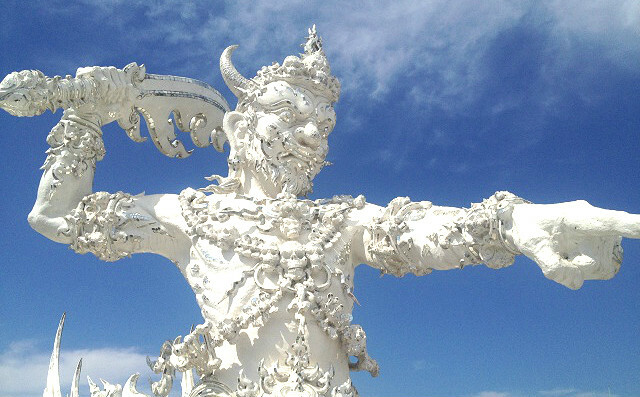 The White Temple is in Chiang Rai, not Chiang Mai. There is not much to do in the city except the church, but I would definitely check it out if you are on the North of Thailand/it is on your way. Entrance ticket 50 baht! )) And a lot of Chinese. Everywhere.